The brave new world of gTLDs has allowed many businesses to expand beyond the aged, mundane and dated .COM. Every industry-specific gTLD allows businesses and individuals to directly tap into the respective market that matches the gTLD. Take dot .Movie for example, a new gTLD operated by Donuts, Inc.
A recent movie trailer for the upcoming movie “La la land,” is using the domain name Lalaland.movie. Starring Ryan Gosling and Emma Stone, the movie looks wonderful. It will hit movie theaters in December. 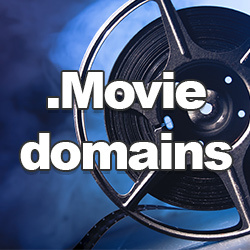 Lions Gate Entertainment owns a crazy number of .Movie domains, and we’re sharing them below for your perusal. Ammar Kubba : Furious domain ventures!